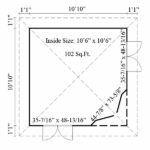 The hexagonal, Rosewood pavilion kit measures 11’’6” by 11’ 6” overall, which provides 102 square feet of floor space, so lots of room for an easel, a desk, and/or a comfy chair. There are windows on all six sides, allowing tons of natural light to pour in. 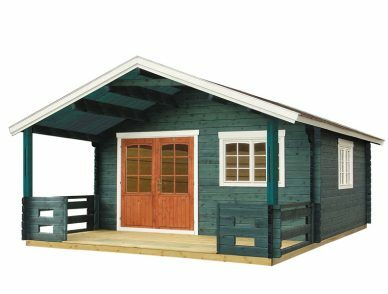 The ceiling stands more than eight feet tall, lending the cabin the charm and spacious feel of a century home. 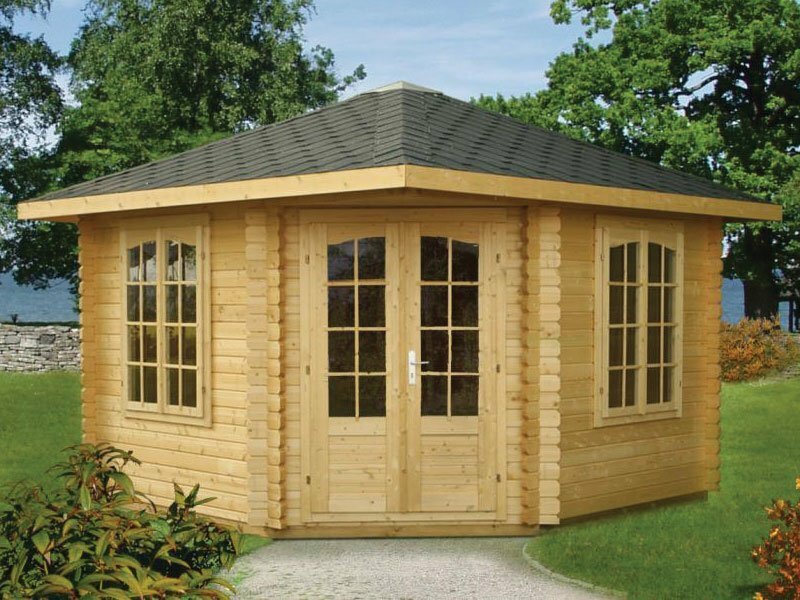 Our hexagonal, Rosewood pavilion can be used as an art studio, a yoga studio, a home office, or a gardener’s workshop. Its possible uses are limited only by your imagination! 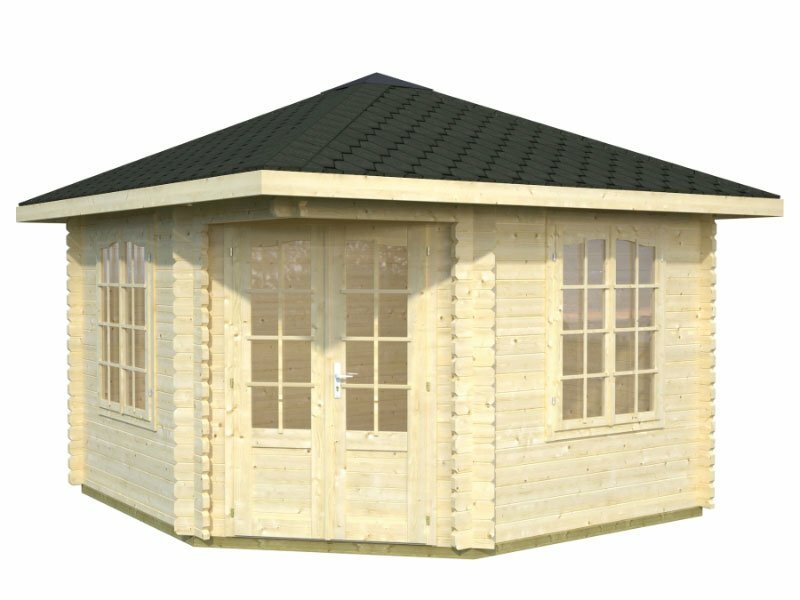 The cabin measures 11’’6” by 11’ 6” overall, which provides 102 square feet of floor space, so lots of room for an easel, a desk, and a comfy chair. Maybe even a bed or two for guests? The windows are all double paned glass, capable of withstanding any weather. 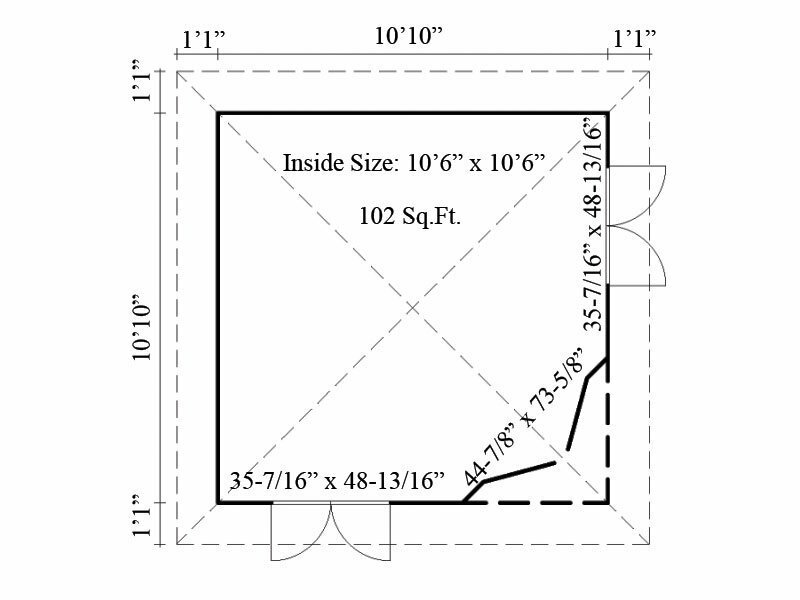 The door measures 44-7/8th inches x 73-5/8 inches, letting in plenty of air when open and allowing easy access. 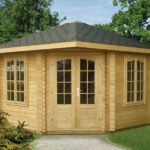 A comprehensive cabin kit offers straightforward assembly and will be a wonderful addition to your home. There are windows on all six sides, allowing tons of natural light to pour in. 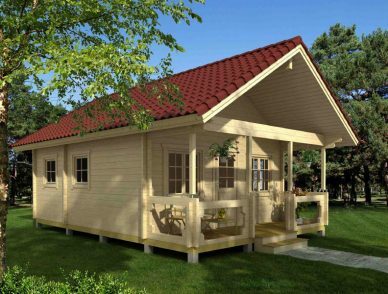 The ceiling stands more than eight feet tall, lending the cabin the charm and spacious feel of a century home. The floors gleam; the rosewood sparkles. 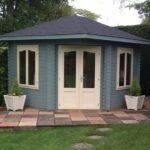 Whether you’re at your easel or in Lotus position, or working hard at your home-based business, this is the mini cabin you need. 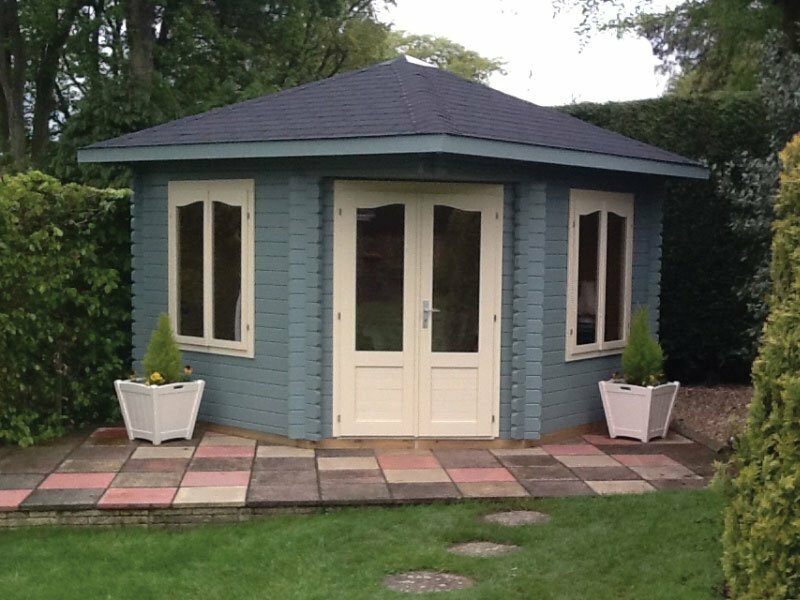 It’s like having the cottage– or the office — in your own backyard. 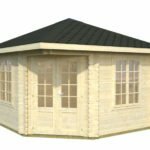 Provide your own foundations or add the optional foundation kit to your purchase, and you will be enjoying this backyard cottage sooner than you think. 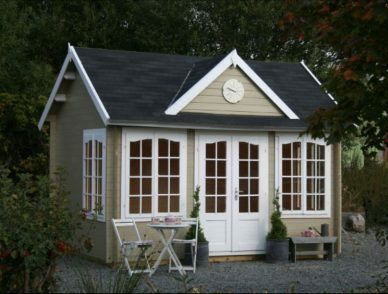 However you envision using it, this backyard cottage makes a beautiful addition to any home and property.